Visit NRS's Grizzly Wetsuit page. The NRS Grizzly Rescue Wetsuit is sized for the burliest rescue crew member. You get features that enhance your safety and protection, while providing that mobility you need. This Grizzly version is cut larger across the chest, waist and thighs. 3-mm neoprene with Titanium gives you superior heat retention and protection from the cold. 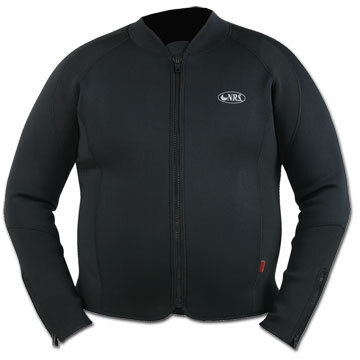 3-mm PowerSpan(TM) neoprene panels in the shoulders, back and arms greatly increases mobility and reduces binding. Full length double-pull YKKA(R) front zipper along with wrist and ankle zippers make this suit easy to get in and out of. We've glued and blind-stitched the seams for maximum warmth and comfort against your skin. Molded polyurethane knees and shins provide long wear and extra protection. The 5-mm neoprene seat provides extra padding and it's covered with ToughTex(TM) for increased durability. Textured raw neoprene friction zones on the sides help lock a PFD in place. Reflective lettering and bright yellow panels increase visibility. 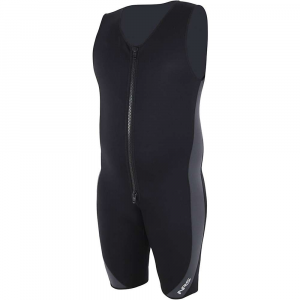 NRS Grizzly Neoprene Wetsuit - Big folks know finding the right size in boating gear can be a bear. 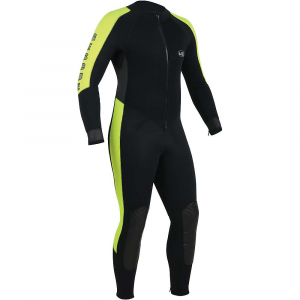 Grizzly wetsuits from NRS are cut large around the chest, waist, thighs and calves to fit even the biggest paddle sports enthusiast. 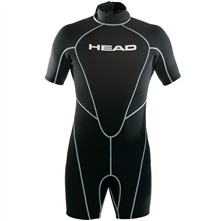 Each suit is crafted with high-quality, 3 mm neoprene A Titanium adhesive reflects your body heat back to you. The Grizzly wetsuit offers tremendous versatility for rafting, kayaking, or any other water sport. Large arm holes assure you full freedom of movement. This suit combines the convenience of a full-length front zipper with roomy, over-the-shoulder Farmer Bill-style suspenders. The armored seat and knees have reinforced padding for extra durability and protection. Zippered ankles round out the package. Designed for the teddy bear in your group, the NRS Grizzly wetsuit has all the room you need. 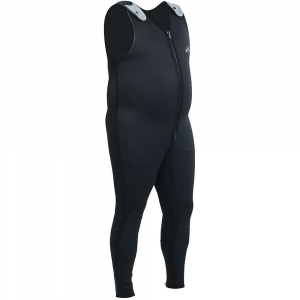 Designed to fit even the largest paddlers, the extra roomy Grizzly Wetsuit is cut large around the chest, waist, thighs, and calves.. . . . . 3 mm of neoprene construction for superior insulation. Cut large around the chest, waist, thighs, and calves to fit larger paddling enthusiasts. Combines the convenience of a full-length front zipper with over-the-shoulder suspenders. NRS Shoulder Extensions are available (sold separately) to accommodate even the tallest paddlers. ToughTex seat and knees for increased durability .